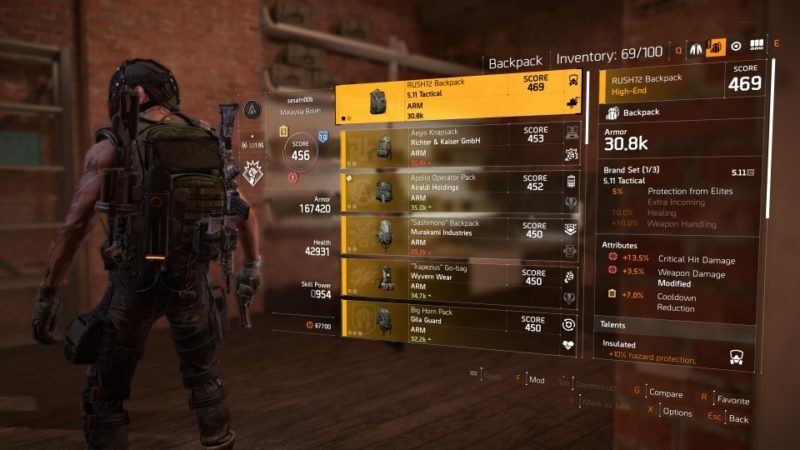 For those who have reached World Tier 4 in The Division 2, you may be getting items of a similar Gear Score (GS). 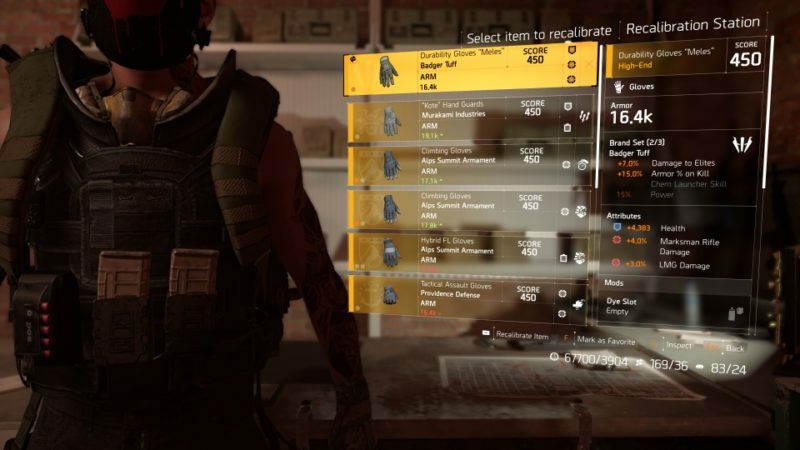 Most of the weapons and armor you’re getting is probably at the 440 or 450 Gear Score. 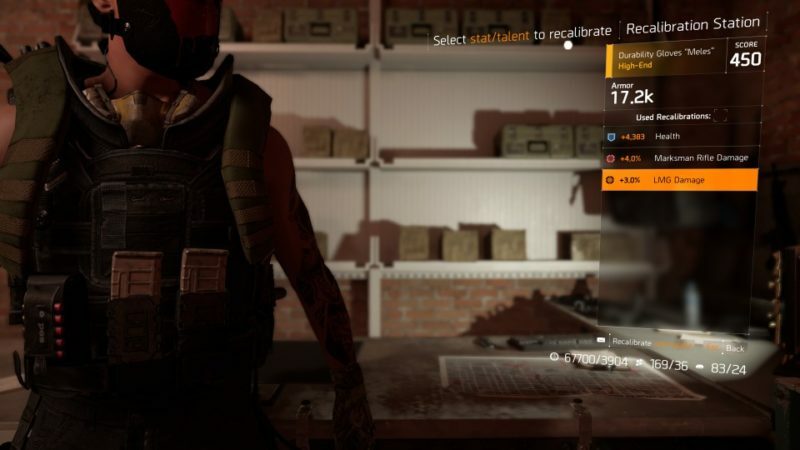 Here’s how you can get slightly over 450 Gear Score in The Division 2. The usual way to get high GS items is by doing more high level control points, side missions, main missions (higher difficulty) or even strongholds. I’ve gotten a couple from GS 450 – GS 454 doing so, but you may have seen other players with GS 470 items. The solution is pretty simple and most players may already know now. Thanks to my clan mate, I learnt that the best way to increase the GS is by recalibration. This backpack above is an example of a recalibrated item where only the weapon damage was modified. To recalibrate, get to the station in the White House. It’s the one beside the crafting station. 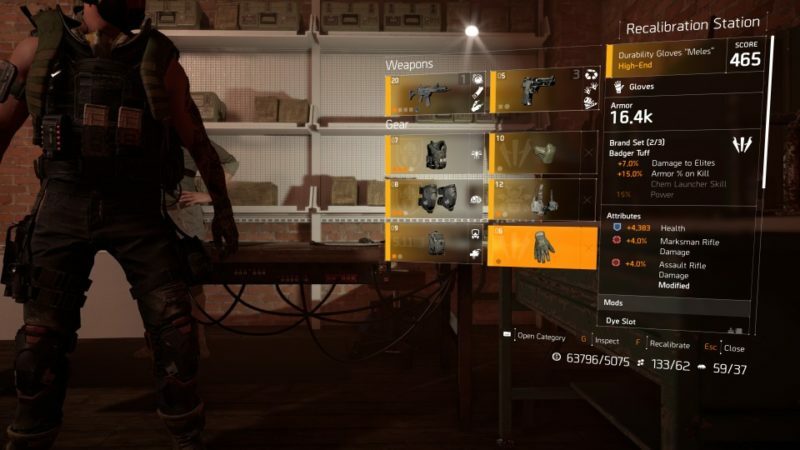 Collect more equipment of all types with great stats, as you’ll probably use them to transfer the good stats. At the station, you need to choose the item which will receive the better stats. Next, you have to sacrifice one of your other equipment (of the same type) to transfer the stats. For e.g. gloves can only be recalibrated with gloves. Sadly, only one stat (out of many) can be transferred for an equipment. Furthermore, a recalibrated equipment can longer be recalibrated further. As an example, in the image below, I intend to change the “LMG Damage + 3%” with something else. I then used another glove with better stats on damage and changed the LMG damage with Assault Rifle damage, due to my own preference. The item where the Assault Rifle damage is from will be destroyed. 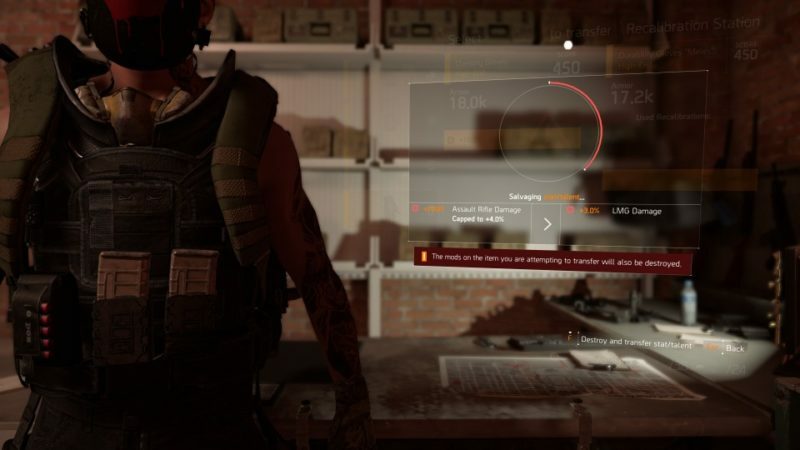 Your first pair of gloves will now have Assault Rifle damage instead of LMG damage. Surprisingly, the Gear Score increased by a lot. Even for a small change, the score went from GS 450 to GS 465. I wouldn’t say that the stats improved a lot, but it’s a way to increase your GS for now. That said, it may not be that important now since Tidal Basin only requires GS 425 to unlock it, and you’ll get better items in World Tier 5 (when it’s out). It’s better to just wait for World Tier 5. 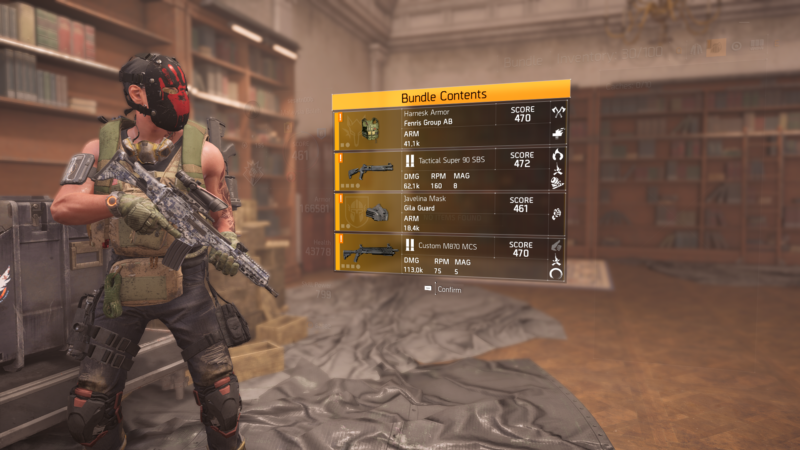 Just received some 470 GS items from the clan’s weekly cache (Gold). 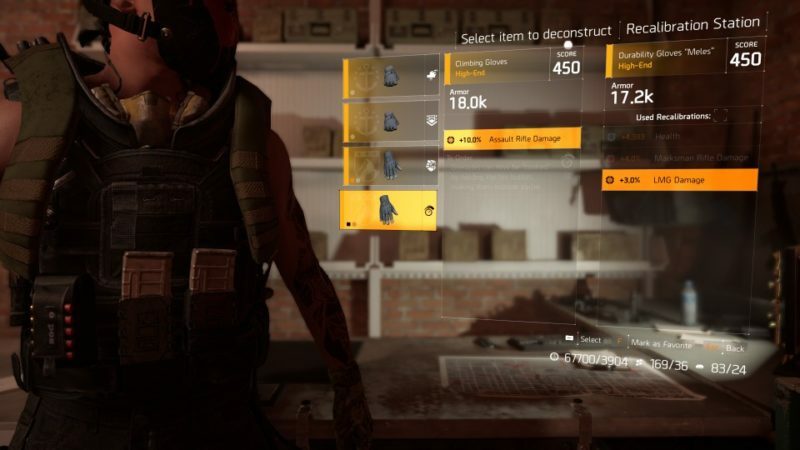 This means it’s possible to get high GS items from the clan cache and proficiency cache (maybe slightly over 450).